If you contribute to the delinquency of a minor, you can find yourself facing criminal charges. However, unlike so many other criminal charges on the Florida books, this one is broad and generally open to a fair amount of interpretation – which means it’s also highly defendable. Engaging in sexual conduct with a minor. 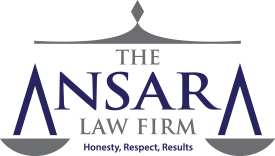 Fort Lauderdale criminal defense lawyers at The Ansara Law Firm recognize that clients facing this charge could serve up to one year in jail if convicted, as it is a first-degree misdemeanor offense. It also carries the potential for a hefty monetary fine. Defendants who know their rights and consult immediately with a qualified criminal defense attorney are likely to minimize the impact of these charges on their immediate situation and their life. Committed an action that causes or could cause or in some way contributes to a child becoming a delinquent/ dependent/ child in need of services. Tries to persuade, command, force or otherwise compel a child to become or remain delinquent or a child in need of services. A “child” in this case is anyone who is a minor under the age of 18. State law defines a “delinquent child” as one who has committed a violation of law or else is in contempt of court. An act of delinquency, as defined by F.S. 984.03(55), is a breach of any law or ordinance that would be punishable by jail or prison time if the violation were carried out by an adult. Have been a frequent runaway, despite parents’ reasonable efforts to engage in mediation or counseling. Have been repeatedly truant from school. Have consistently disobeyed reasonable demands by parents to remedy the underlying issues. Here again, a “reasonable effort” would include participation in counseling or mediation. A child who is found to be “dependent” by the court is one who has been abandoned, neglected or abused by their parents, surrendered to the state for adoption, has no parents or legal guardians capable of supervision, is at substantial risk of imminent abuse/ neglect/ abandonment by caregivers, has been sexually exploited and has no responsible adult relative capable of providing care or whose parents voluntarily surrendered the child or failed to comply with requirements of their case plan after their child was removed. Additional penalties could include orders to pay court costs and restitution, participate in community service and submit Department of Children and Families (DCF) supervision. These are the maximum penalties, which means even if you can’t avoid conviction, there may be an opportunity for your defense lawyer to argue for a lesser sentence. Lack of knowledge defendant was contributing to child’s delinquency. Factual disagreements regarding defendant’s conduct and legal reasoning why child would not be classified as delinquent or dependent or in need of services. If you have been charged with this crime, call our offices to learn more about how we may be able to formulate an effective defense. Each case is going to require a unique defense strategy to ensure a more successful outcome. If you have been charged with contributing to the delinquency of a minor in South Florida, contact the Fort Lauderdale Criminal Defense Lawyers at The Ansara Law Firm by calling (877) 277-3780.